SYNOPSIS: The classic supernatural thriller by an author who helped define the genre. First published in 1959, Shirley Jackson’s The Haunting of Hill House has been hailed as a perfect work of unnerving terror. It is the story of four seekers who arrive at a notoriously unfriendly pile called Hill House: Dr. Montague, an occult scholar looking for solid evidence of a “haunting;’ Theodora, his lighthearted assistant; Eleanor, a friendless, fragile young woman well acquainted with poltergeists; and Luke, the future heir of Hill House. At first, their stay seems destined to be merely a spooky encounter with inexplicable phenomena. But Hill House is gathering its powers—and soon it will choose one of them to make its own. I love a good classic horror tale, and when it comes to ones like The Haunting of Hill House, they are especially fascinating because you can see so much of modern horror reflected back in elements of these stories. Shirley Jackson is considered by many to be the original queen of horror and, if not the creator, at the very least the author most responsible for making the haunted house trope popular. Given that it’s my favorite horror trope, you can imagine the excitement and apprehension I felt over finally picking this book up. First and foremost, Shirley Jackson’s writing was positively incredible. I love horror writing that doesn’t always make sense, that leaves much to the imagination and constantly has you wondering what really just happened, and that sums up The Haunting of Hill House in a nutshell. The writing is poetic, strange, self-contradicting, and absolutely the perfect narrative voice for the tragic atmosphere of Hill House—and poor Eleanor’s gradual descent into madness. The events themselves are far spread, but genuinely dreadful, leaving a catch-22 of sorts: on the one hand, the pacing at times feels extremely slow, but on the other, Hill House constantly lures the reader into a false sense of security before lashing out with another fright. 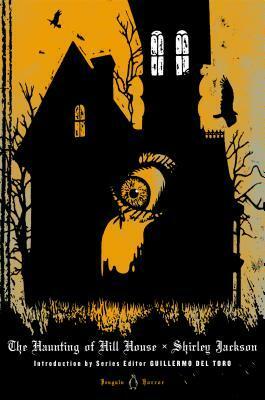 With classics, many readers don’t expect to be truly terrified—we modern horror fans often fall prey to the trap of thinking that we have grown numb to the fears of decades gone by—but I don’t mind admitting that The Haunting of Hill House kept me on the edge of my seat at times, jumping at every unusual noise in my dark home while I read. I’m a big horror fan but I’ve never heard of this book, it definitely sounds like a worthwhile read and I need something good after a slew of bad horror novels. I rarely read classics when it comes to horror, though, and in part it’s because of what you mentioned. The underlying queer themes are everywhere, the problem I have is that while there are positive depictions relegated to subtext because of “the times”, often they also serve as the “boogeyman”, the “effeminate villainous man”, the “cruel brutish manish woman” who prays on young girls — and I just can’t force myself to read through that. Makes you really glad the times have changed. This one sounds different though, so I’m going to check it out, thanks for always bringing books I had no idea about to my attention. Yes, I totally know what you mean about the poor queer rep in so many classics! Thankfully, that definitely isn’t the case here – not only does Theodora feel pretty blatantly queer (and while she can be a jerk sometimes, it’s more a case of brutal honesty – not cruelty), but Eleanor also very clearly has some curiosities and maybe an outright crush as the story progresses. It never feels vilified, thank goodness. I totally know what you mean, though, and yes, though society still has so long to come, looking at things like that also makes you realize how far we already have made it! I’m about halfway through this book right now! I’m so happy to hear that you liked it. Yay! 😀 This pleases me, heh. Thank you so much! 😀 I’m hoping to read We Have Always Lived in the Castle this fall, after how much I enjoyed this one! Isn’t it great? 😀 I love it haha! I hope you do!